After school I decided to reinforce my interest for the living world with solid knowledge and began to study biology at university. During exchange semesters in the USA I had the opportunity to work on alligator behavior and to get to know nature in North America. For my master’s (Diplom) work, I conducted a field study of the largest snake in Germany, the Aesculapean Snake. 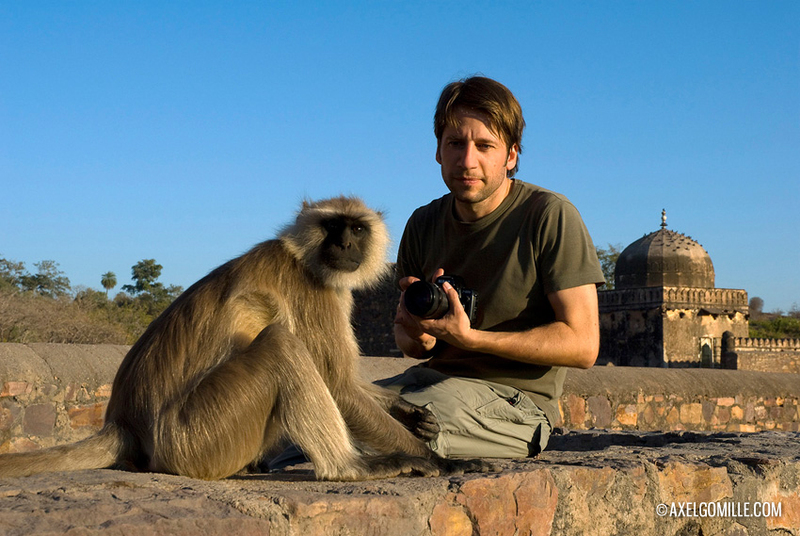 In the central Indian tiger reserves of Kanha and Bandhavgarh I worked as a biologist and field guide. My freelance work in wildlife photography and film brought me to the German public Television channel ZDF, where I completed training as a TV editor. Over the years I worked in various departments, including the TV series Wunderbare Welt (Wonderful World), Terra X and planet e, as well as for different science shows and news outlets. I have been responsible for more than a hundred episodes of the series “Wonderful World”, covering wildlife topics from around the globe. Since 2011 I have been primarily active as a filmmaker for ZDF. My photographs have been showcased in exhibitions, received numerous awards, and appeared together with my writings in a range of magazines worldwide including GEO International, BBC Wildlife, BBC Knowledge, National Geographic World, Asian Geographic, Science Illustrated, Natural History, Terre Sauvage, Universum, natur & kosmos, Terra, NaturFoto. Thus far I have published four books. I do presentations, acted as jury member at photo and film festivals, and taught as a guest lecturer at at the University of Television and Film Munich. In the course of my work I have had the great privilege to experience many of the world’s most beautiful nature reserves and their wild animals. But wherever I go, I continually strive to fascinate other people with the results of my travels and so to help ensure that wild animals and wild places have a future.